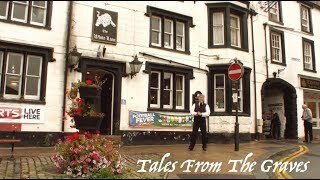 Join Simon Entwistle, an award winning Story Teller & Author, as he takes you on a journey back in time to re-live some of the countries best known Ghost, Murders, and Crime stories from the years once gone. Simons links: Book - http://goo.gl/pKWM6D Tours / Website - http://goo.gl/eFuwF7 This Video was Created and Directed by Ben Niall & Ben Niall Films. Links: Website - http://www.benniall.com Twitter - https://twitter.com/benre... Facebook - http://goo.gl/V13TPP Copyright Notice. It is an Illegal offence to copy / duplicate or Re-upload any of the footage /Audio from with this film. Piracy of any kind will result in prosecution from the copyright holder ©BenNiall & ©BenNiallFilms. The talent also reserves the right to prosecute against his work being distributed / reused unlawfully. Website: http://www.ghost-quest.co... http://www.benniall.com Twitter:https://twitter.com/Ghost... https://twitter.com/benre... Facebook: https://www.facebook.com/... https://www.facebook.com/... 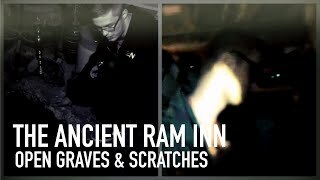 In this weeks episode the team travel to Jedburgh, Scotland.They go in search of documenting paranormal evidence to back up claims of serious hauntings within the jail walls. 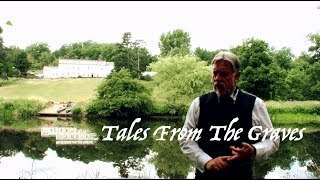 Please check out our other episodes, and subscribe to our channel so you don't miss any of our upcoming videos :) Previous Episode: https://www.youtube.com/w... Copyright: All Audio and Visuals are ©BenNiall. Copying or any form of Duplication or re use of this video or any other video on this channel will result in Prosecution. All audio is FULLY Licensed to ©BenNiallFilms. 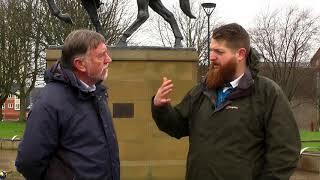 © Ben Niall Films LTD www.benniall.com www.ghost-quest.co.uk Join Simon Entwistle as he interviews Ashley Waterhouse in Derby next to the Bonnie Prince Charlie statue. Full Uncut Interview.